The East Gippsland Waterdragons Swimming Club has appointed Mr Garry Cole, former coach with the Rackley Swim Club in Queensland, as the new Head Coach, commencing 12th February 2018. “We are very pleased that our extensive search for the right coach for our swimming club is over,” said President Linda Malcolm. “In Garry we believe we have found the best person to lead our club as a whole, and develop the potential of all our swimmers, regardless of age or ability. We can’t wait for him to get started,” she said. Garry Cole started with the Rackley Swim Team in 2012, when they were sitting in 4th place in 4th Division. They now enjoy 5th place in the top Premier Division. Prior to this Garry was the head coach of the Stafford Stingers Swim Club, where in the first season he took them from the bottom of their local swim league to 2nd place. 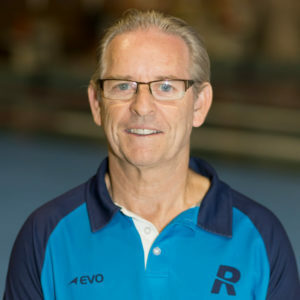 Garry’s coaching career spans over 18 years and he holds numerous Learn to Swim credentials along with Competitive strokes, Junior Squad Coach, and a Bronze Coaching Licence, he has also furthered his coaching studies and has acquired his Silver Coaches licence, and is waiting only on a couple more national swimmers to be fully qualified as a Silver Licence Coach. Garry’s own sporting career spans high school swimming, to representative tennis, a season with the under 19 Essendon Football team, and in 1985, he started training for the then new sport of Triathlons and in 1990 made selection for the Australian Team to compete in the Triathlon World Championships in Orlando, Florida. “I am looking forward to joining the Waterdragons with a great deal of enthusiasm and working with the committee and coaches to create the stepping stones for a great future for the club,” said Garry Cole on his appointment.